Even though you are named in the will as the personal representative, you are not authorized to act until you are officially appointed by the court in the county where the will is presented for probate. The court order appointing you as executor is referred to as Letters Testamentary. Once this occurs, no heir or beneficiary of the deceased will be allowed to take possession of estate assets or make decisions on behalf of the estate. When you present copies of this official document to the holders of estate assets, such as banks or other financial institutions, you will be permitted access to those assets as necessary to administer the probate process. After appointment, one of your first duties may be to acquire a taxpayer identification number for the estate and open an estate checking account in which to deposit existing cash assets and from which to pay monthly bills that need immediate attention. Personal representatives are also responsible for protecting real property assets from foreclosure by continuing to make mortgage payments from available cash assets until the disposition of the property is determined. The terms of the will may grant other powers, broad or limited, to a personal representative, and any actions taken outside of those powers may require a separate, specific court order. As personal representative, you are responsible for determining any claims or debts against the estate and paying those debts from the estate assets. Often debts include the expenses related to the deceased's last illness or funeral expenses. You are also responsible for directly notifying known creditors of the death and your appointment as personal representative. If you cannot locate all creditors, you will be required to give notice by publication in a local paper in the county where the estate is probated. Creditors generally have a specific time period governed by state law in which to file a claim against the estate or it will be barred. Personal representatives gather and take control of all of the assets of the estate, generally taking an inventory, valuing those assets and determining how they will be distributed under the terms of the will. Receivables, such as money due the decedent under a promissory note or retirement benefits, are considered assets. After being appointed as personal representative, you must notify all payors and inform them where future payments should be made. Care should be taken to complete an accurate inventory and valuation of assets and schedule of debts because these documents are generally filed with the probate court and made available to all interested parties. Once the statutory time limit for filing claims has expired and all creditors of the estate have been paid, including the IRS if money is owed under a final estate tax return, you will distribute to the heirs the remaining assets as directed by the will. Finally, you may be responsible for executing deeds that convey real property and transfer titles to heirs, as well as distributing the deceased's personal items before finalizing the estate distribution and closing the probate proceeding. 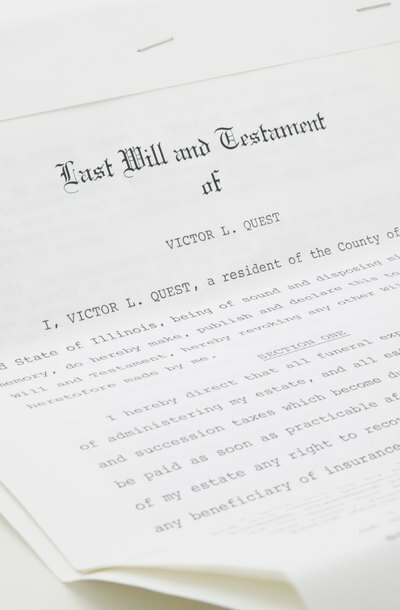 When someone who owns the entire interest in a parcel of land or real property dies without a will, the state’s laws of intestate succession generally determine ownership. When several heirs become joint owners in a piece of property under these laws, some may desire to sell their interest to others or all of the heirs may choose to convey the property to an unrelated purchaser.